Investing in a CRM is a huge decision. Most executives and managers realize the serious nature of this kind of investment, but not all realize that selecting a good or popular CRM will not necessarily give them the best system for their company’s needs. It’s important that you take the time to find the right CRM for your company. 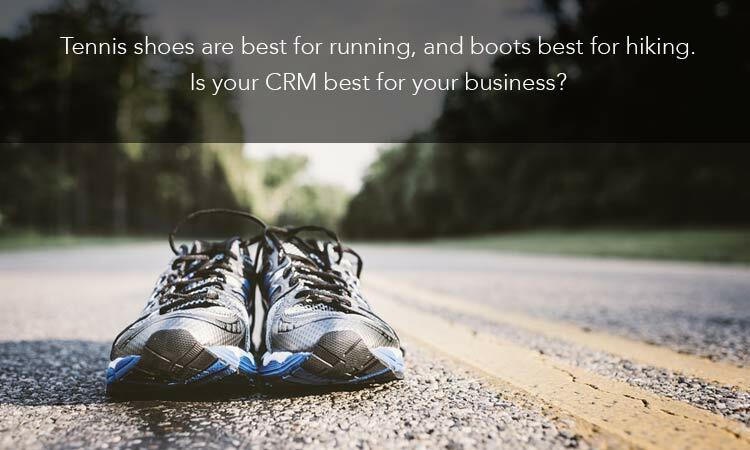 Just like wearing the wrong pair of shoes could lead to an injury, having the wrong kind of CRM can poorly impact your business’s performance. Finding the right choice for a CRM is a little more involved than choosing the right shoes to wear, but it’s still a necessary step to take if you want your business to function as well as possible. Do you have the best CRM system for your company? Consider your current CRM and ask yourself these questions. 1. What are your main reasons for using a CRM? What do you ultimately want to accomplish with your CRM? Would you like it to primarily help you manage and increase sales? Track and manage campaigns? Improve customer service? Report on sales activity and opportunities? It’s important to identify these reasons because not all CRMs are created equal—some are more geared towards managing sales and pipeline, while others are a better fit for campaign management. There are also some that can do it all! I suggest a CRM audit. Meet with your leadership team to identify what you want the CRM to report. Are you trying to store and sync customer data? Track sales processes? Analyze campaigns? Manage your pipeline? Prioritize these needs. This will set the foundation for your CRM requirements document. 2. Does it help you easily accomplish what you want to do? If you have had a successful CRM audit you have a greater probability of choosing the right CRM to make your life easier - but what if it isn't? The most common reason is that it wasn’t implemented properly. CRM success is dependent on how well it is implemented. Some of the culprits are: incomplete or old data, no segmentation, no process for how to use the tool, or a lack of a CRM administrator. Whatever it might be, your CRM should help make running your business smoother and more efficient—not give you more work. Be careful in addressing all of these details prior to deploying the tool. Think far in advance about how the tool will be used on a daily basis. Depending on the size of your company it may make sense to run a beta test with a small group prior to a full-scale launch. 3. Is it the right size for your business? When you purchase a license for a CRM, you select a “plan” or a “package”—you know, the “Essentials” package as compared to the “Professional,” “Deluxe,” or “Enterprise” package. The tools and services you receive all depend on the package you pay for. If you compare your needs to the package you selected, you may discover that you’re paying for services and tools that you really don’t need! In this situation, downsizing may benefit you. Or, perhaps you started with a certain package because it was just what you needed. As your business grows and develops new needs, it would be wise to consider a more comprehensive CRM package, too. 4. Is my team using it? If your team can’t quickly figure out how to use your CRM, there’s a chance that they won’t use it. Instead, they’ll discover ways to work around the system—wasting time and money. Or, maybe they do know how to use it, but the system actually makes their work more tedious or complex, or makes it take longer. Why would someone spend five minutes doing a task in the CRM that they could do in two minutes without it? Simply put, if your CRM isn’t making your team’s work faster and easier, there is little to no incentive for them to use it. Training is a MUST. Keep it as simple as possible: more than two clicks to get to something and you lose them. 5. What is the ROI? Unfortunately, coming up with this figure isn’t a matter of simple mathematics. It will take some time and work to determine how a CRM has enabled you to cut costs and increase revenue. You’ll want to compare how much time it used to take team members to do their tasks, and how long it currently takes with the CRM. You’ll also want to look at the number of deals you used to close over a certain period of time, and how many you close using the CRM, among many other things. Then, consider the actual cost of having your CRM. Some vendors or retailers may help you calculate your ROI, so be sure to look into that! Hopefully these questions have helped you judge the usefulness of your CRM system. If you have a great fit, wonderful! If not, now you have the information you need to select a CRM that will be better for your company. You want your CRM to fit your business perfectly, so be proactive about making sure you have the best CRM system for your company! If it’s not tailored to suit your business’s needs, it’s just going to slow you down. 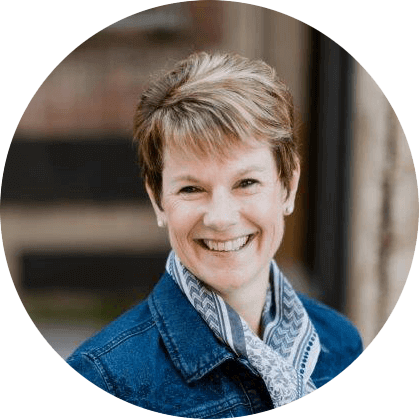 This blog exists to educate manufacturers, engineers and technical minds on the wonders of inbound marketing, sales enablement and more.